When you think of the Chevy Camaro it’s hard not to think of the Ford Mustang, as well. After all, both are iconic American muscle cars that have been burning across the pavement for decades now. But when you start to explore the details, it’s clear that the 2015 Chevy Camaro and the 2015 Ford Mustang are vastly different cars, and the Camaro offers more of what today’s drivers are really looking for. Learn how they compare head to head, and then plan a trip from Bloomingdale to check out the newest Camaro in person at Sunrise Chevrolet in Glendale Heights! The introductory trim levels of the 2015 Chevy Camaro coupe are all less expensive than the 2015 Ford Mustang. Drivers can get into a Camaro starting at $23,705. The Mustang starts at $23,800. Moving up to the next trim level, the Camaro costs $25,145 while the Mustang costs $25,625. It can’t be denied that both of these cars put up serious power numbers and can race down the road at lightning fast speeds. But if you want maximum power from a V6 engine, the 2015 Chevy Camaro is the clear choice. With a 3.6L V6 engine that powers the LS and LT models, the Chevy Camaro delivers an impressive 323 hp and 278 lb-ft of torque. The 3.7L V6 engine that powers the 2015 Ford Mustang trims delivers just 300 hp and an almost identical 280 lb-ft of torque. In the Camaro SS trims, you’ll find a 6.2L V8 that delivers 426 hp and 420 lb-ft of torque. The ZL1 trim upgrades to a supercharged 6.2L V8 that produces 580 hp and 556 lb-ft of torque, while the Z/28 trim runs on a 7.0L V8 that produces 505 hp and 481 lb-ft of torque. Those last two engines both deliver zero to 60 mph times well under five seconds. 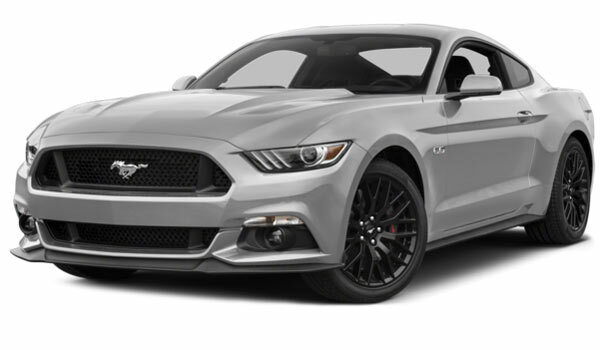 The Ford Mustang has only one V8 engine available, a 5.9L V8 that delivers 435 hp and only 400 lb-ft of torque. That is only slightly more horsepower and far less torque than the intro V8 engine in the Camaro. And it doesn’t even come close to the power numbers delivered by the ZL1 and Z/28 trims. 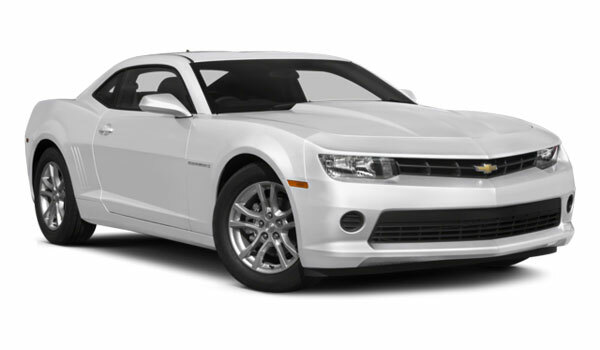 The 2015 Chevy Camaro is more impressively equipped than the 2015 Ford Mustang at almost every trim level but especially at the base trim, where it is also less expensive. Plus, the Camaro is available with technologies that simply aren’t available on any Mustang. The introductory Mustang V6 has 17-inch alloy-wheels, and none of the other features listed. What’s more, all Camaro trims come standard with OnStar, an advanced telematics system that enhances your safety and convenience. OnStar also connects your Camaro to a 4G LTE wireless internet connection that gives you high-speed, on-the-go access for up to seven devices simultaneously. The Chevy MyLink system comes standard on 1LT trims and is one of the most advanced and intuitive in-car infotainment centers in the industry. Ford offers the MyFord Touch system, but it has been roundly criticized for being slow, confusing, and unhelpful. If you’re going to unleash the power of either the 2015 Chevy Camaro or the 2015 Ford Mustang, you want to know that you’re well protected in the event of the unexpected. And while both have put up solid crash test ratings, the Camaro comes with features that protect you against all the hazards of the road, not just collisions. With the OnStar telematics system, which is available exclusively on GM vehicles like the 2015 Chevy Camaro, your vehicle will automatically notify emergency responders following a collision, as well as connect you with roadside assistance providers, remotely unlock your doors, and provide you and the police with valuable information if your vehicle is ever stolen. Use any of these features just once, and you’ll be grateful your vehicle has OnStar. We think it’s clear that the newest Camaro is the better bet in this comparison. But if you want to confirm that, just visit us at Sunrise Chevrolet and take it for a test drive. We are located at 414 North Ave. in Glendale Heights, IL 60139, just 10 minutes south of Bloomingdale off of Glen Ellyn Road. Stop by Monday through Friday from 9 a.m. to 9 p.m. and Saturday from 9 a.m. to 6 p.m.